From a marketing perspective, a sustainable farm business is quite unique in the scheme of business models. 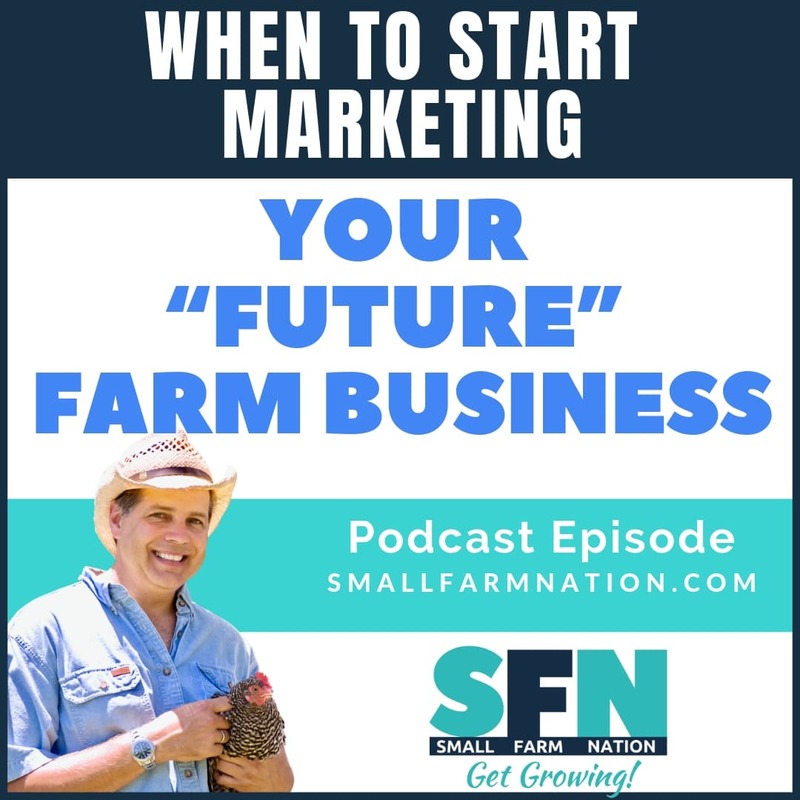 Like other businesses (big and small), a sustainable farm business needs to build a strong business brand in order to thrive. 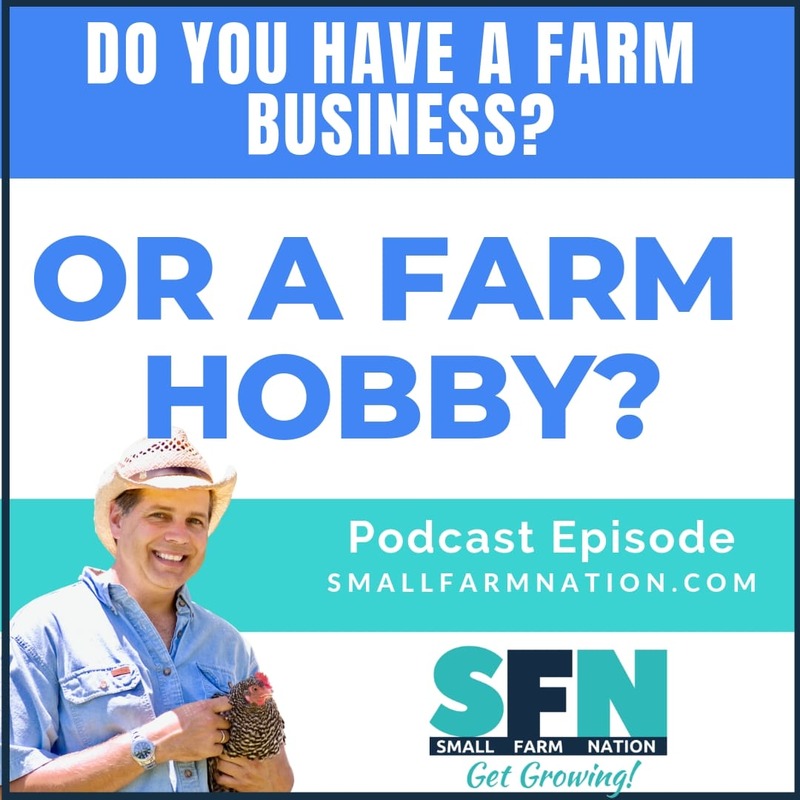 Yet, the heart of any farm business is, what? It’s the FARMER. After all, the farmer is what makes a farm, a farm. 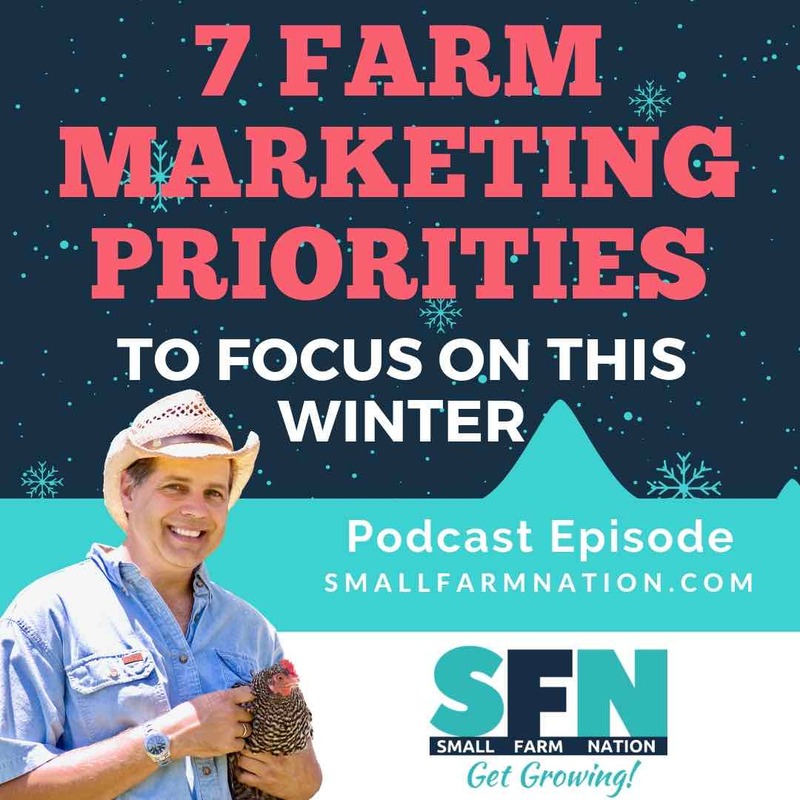 And, the best farms are those where the farmer has established something of a personal brand that is just as strong as the farm brand he or she created. 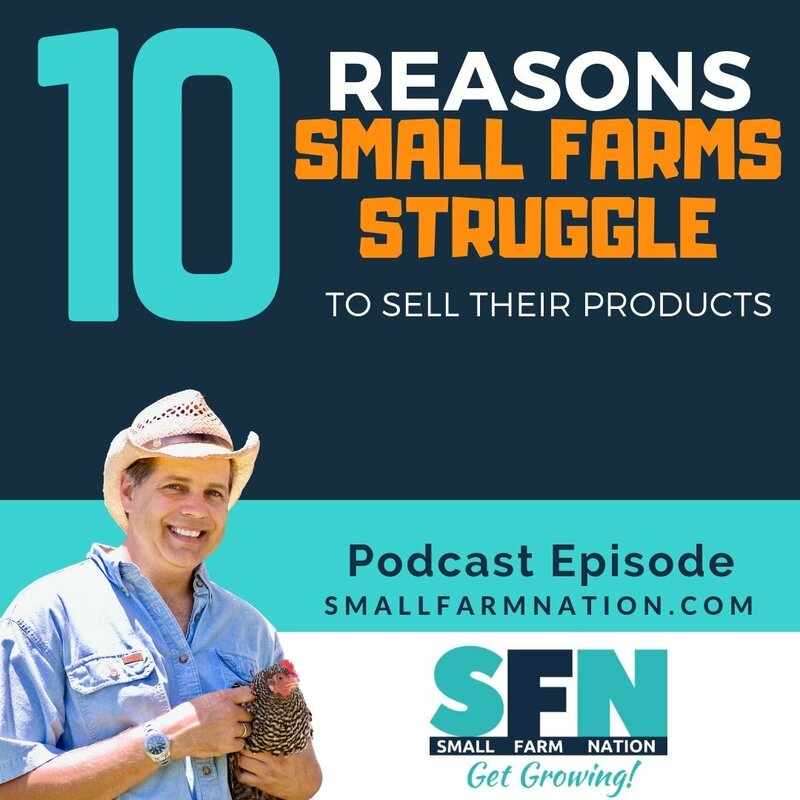 For examples of this, look no further than Will Allen at Growing Power, Will Harris at White Oak Pastures or the outspoken Bauer (farmer) Willi in Germany, who admonished his customers that all they care about is cheap, industrial food free of claims. 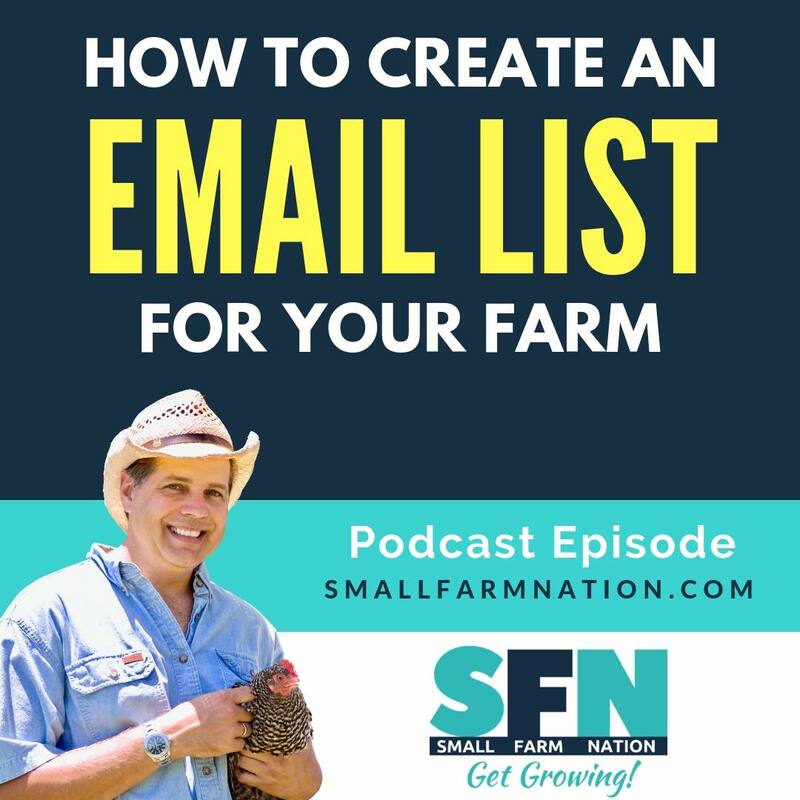 I would suggest you need the name Will or Willi to establish a personal farm brand, but there’s this farmer named Joel who has also broken through the clutter and established a personal brand. But, in each case, the personal brand is intertwined with the farm brand. In other words, the perception of the farm business mirrors the perception of the farmer. Of course, these farmers are well known, but how did that come to be? After all, there’s over 3 million farms out there, so why is it we only hear of a few well-known farmers? 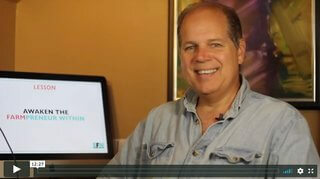 And what’s the secret to breaking through and establishing your own farm brand persona? Here are 8 tips that can help you to achieve just that. Leaders take stands, and that’s what each of the farmers above have done. Whether it’s a stance FOR something (animal welfare, soil fertility, etc.) or AGAINST something (CAFO’s, GMO’s, etc. ), these leaders take a stand. But it’s more than that…they frame their message in such a way that paints a positive outcome for the consumer. In other words, they don’t just “rant” about what’s wrong. They paint a vision of how the world and its inhabitants could be far better off by pursuing their vision. So people are drawn to them because they are associated with a vision of a better world. Whether it’s through a blog, interviews, podcast or social media posts, leaders are consistently present. They drive their message home consistently and persistently. If you’re a larger operation and have access to public relations, then use the media for this. If you’re a smaller operation or one-person show, this is what blogging, social media and content marketing is all about. It levels the playing field. Either way, just get out there with your message, consistently. After all, the saying is, “repetition is the mother of all learning,” right? What did Clinton want to do if she became president? What did Trump want to do if he became president? As for the second question, we all know the answer. Trump wanted to “make American great again.” So folks on the Trump train repeated that mantra and, now we have years worth of exceptional Saturday Night Live material; and a continued career for Alec Baldwin. Several times, I’ve been picked up by the media–everything from widespread media like NPR and Fox & Friends to farm industry media like ACRES USA and others. Often, the reason I was contacted was sound bites…ways I had distilled my message in a repeatable nugget. The point I was making, and wanted people to remember, is that milk from pastured cows results in a unique cheese flavor profile. So, the goal of sound bites is to allow folks to recall what you said and why you said it. So don’t just rant about what you believe in. Put in the time to distill your message into sound bites so that are easy for others to carry the torch and repeat your message. Personal Brand Tip #4 – It’s Not About You. It’s About Them. In other words, you want to change the world or create something for THEIR benefit. You’re the change agent. They’re the beneficiary. Once they clearly understand how they benefit…why the change you represent is much better for them, they’ll hop aboard your train. So think about how you’ll fulfill the customer’s need, whether it’s solving a problem or satisfying a need. Particularly on social media, show the real you. This means it’s not all business all the time. Share something about you, whether it’s talking about your family, or sharing that picture of you in that ridiculous Halloween costume with your kids, or you in a social gathering. Just be real, because your goal is to relate. And people relate to REAL people, not corporate icons. Being transparent means having the courage to be vulnerable. To let people know you’re afraid, or made a mistake. It shows you’re human, and it builds empathy. You’re taking a stand, you’re pursuing a better way of life..but you want to still be a human, struggling to get “there”. How can my audience take action or get involved? In other words, what do you want them to do? Because, if you don’t give your audience a way to get involved…an action item…then they’ll absorb your message and go onto the next post in their Facebook feed. And your message will be forgotten, until they stumble across you again. Look, we all need guidance. And your followers need you to guide them to the actions that will help you to succeed as the change agent you represent. So don’t just deliver the message. Tell them what they need to do to help you achieve the vision. Personal Brand Tip #8 – Act One to Many. Think One to One. The best way to build your brand might be to sit down with each person individually, but that’s not realistic. Instead, we have to use technology, such as email marketing, blogging, podcasting and social media. So, in that sense, we’re acting one:many. We create one post and distribute it to many people. And that creates leverage of your time, which is what we want. However, your message needs to resonate in such a way that it sounds like one:one. If I read your post or hear you on a podcast, I need to believe that you are talking to me specifically. I think the farmers I mentioned earlier excel at this. They’re relatable and their messages always resonate with me, and likely with you. That’s the goal. To speak to MANY, but come across as if you’re speaking to ONE. Is it an art? Sure. But it’s an artful science you can master. 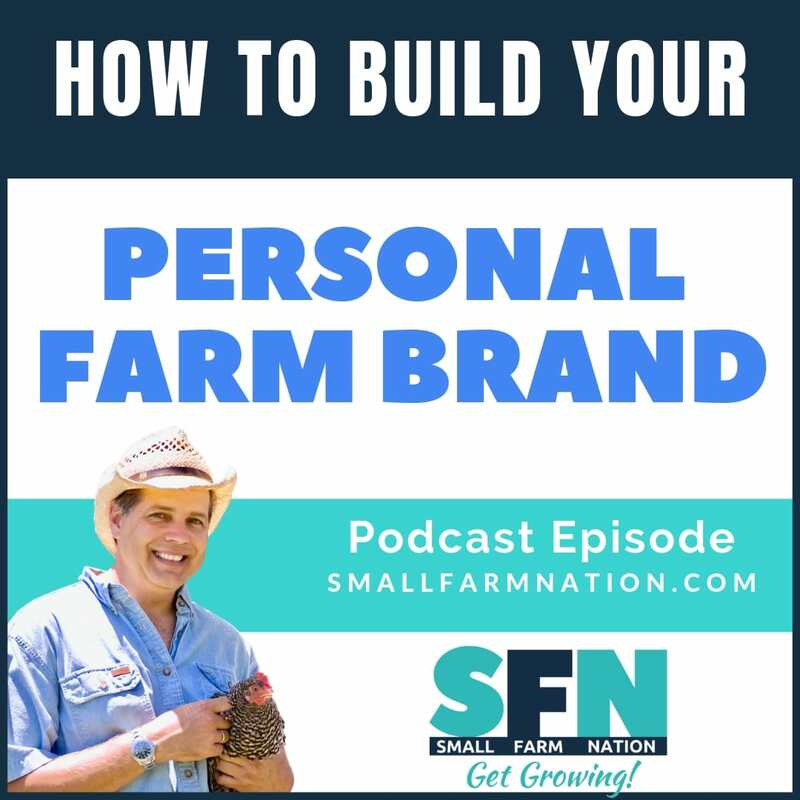 Here’s what I’d like you to do to get started in building your personal farm brand. It’s just one thing…I want you to create a powerful sound-bite reflective of your farm brand, that is less than nine seconds long (to read). Preferably much less. Because the average sound bite these days is seven seconds. Pick a talk point about a specific issue. Write down what you want to convey (as many words as you need). Summarize your point in a bold statement that can be easily recalled (use Twitter’s 144 characters as a guide). Polish that summation as your sound bite. When polishing, it’s often helpful to use comparative analogies (such as Clinton’s, “being president is like running a cemetery…”), but they can also be shock summations. When you’ve got it nailed, use it consistently to reinforce your brand message. You can even include it in quotes in your social media image headers. 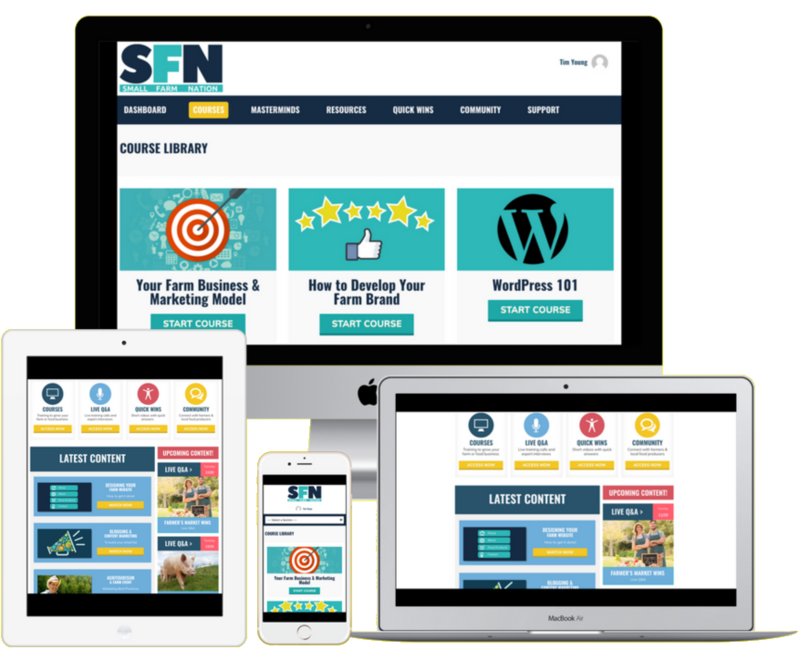 NOTE: If you’re in the Small Farm Nation Academy, you can post your messages in the forum and get my help in nailing your message! 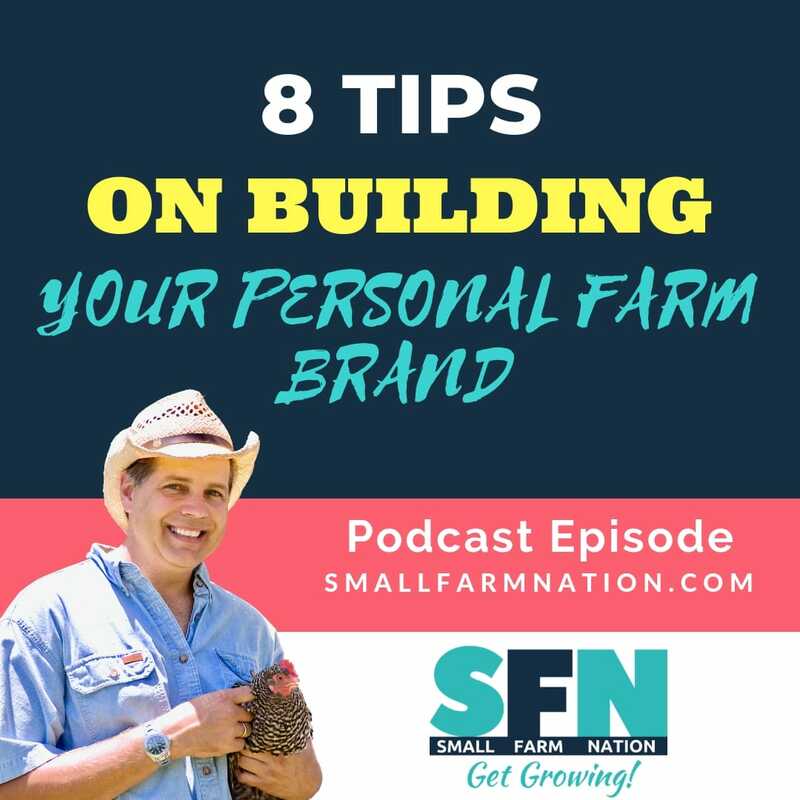 By doing this exercise and following these tips to build your personal farm brand, you can attract fans and followers, as well as invitations from media outlets from stories. Remember, the heart of the farm brand is you, the FARMER. Now, create a sound bite that lets your fans clearly and quickly grasp what you stand for.